As Reviewed by Col Crawford staff member Nick Hughes ….I have recently been given the privilege of driving the Holden Commodore VF SSV Redline Sedan with the W310 Walkinshaw Power Pack as my company drive car. So I thought I’d take a moment to share what a great experience I have had in this vehicle. As an automotive technician by trade and someone who has been in the automotive industry for 15 years, it’s strange to think that I’d never really considered the Holden Commodore on my hot list… until now! From the first moment I hopped in the SSV W310 Redline and used its push button start to engage the 6.0L Gen IV engine… I was hooked. The way Holden have designed this vehicle is nothing short of amazing! Not only have they created a vehicle that appeals to the inner child in all of us, but they have also created a vehicle of style, safety, comfort and luxury. “The inner Child”… This vehicle exudes performance with the sheer power it puts out, to the perfect note the ceramic headers and stainless steel exhaust create every time you use the paddle shifters to down shift the gears. The Limited Slip Differential applies a solid traction every time the accelerator meets the fire wall. This vehicle excels to accelerate! “Style”… This is a thing of beauty. The clean cut fast lines of the car tie in perfectly with the nice soft touches from the small kick from the boot lip spoiler. The Heron White paint colour is offset by the black 19” Alloy Wheels and give’s the SSV W310 Redline an aggressive look to match the presence of power! Step inside the car and again, Holden has come up trumps! The Jet Black leather interior with the white stitching carries over to the soft suede finishes on the dash and door trims. “Safety”… As was once told to Spiderman “With great power, comes great responsibility” and Holden has stepped up to the mark yet again! As is always with Holden, safety is a number one priority. The 5 Star ANCAP safety rating is met with a range of standard features along with a stack cool new safety technology. With enough airbags to make the “Good Year Blimp” look like a party balloon to the cool new technology employed with the super easy Lane Departure Warning system, Blind Spot Alerts and Forward Collision Alert that make driving this power house feel like an everyday drive as safe as a walk in the park. “Comfort”… From the moment you sit down in the beautiful soft leather seats and feel the soft touch door trims, you know you are truly driving in comfort. The amount of space that Holden has managed to find through the cabin is matched by the massive cargo space and rear seat centre fold down ski hatch. The only way I can describe this vehicle, is like driving a lounge chair with 310Kw! “Luxury”…there is certainly no short of luxury throughout this machine. The colour Head-up Display on the windscreen, which shows you everything from your digital speedometer, tacho and directions from your Sat-Nav system make the drive so simple that your eyes never have to leave the road. Accompanied by the 8” Holden My Link infotainment system with integrated Sat-Nav and 9 Speaker Premium Bose audio system, mean that your passengers are also in for a treat when you’re out on the open road! These are just a few of the many features that give you the feel of driving the luxury European car…without the price tag. Signing off…I can honestly say, I have been converted to a “Commodore Man” in every sense. I hope this gives you a bit of an insight into how much I have truly enjoyed driving one of Australia’s last true legends. 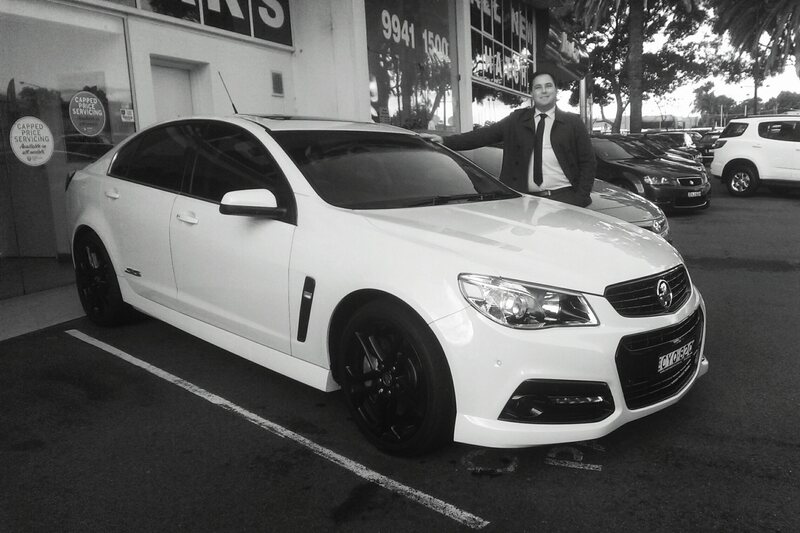 If you would like to know more about the Holden Commodore VF SSV W310 Redline or any of Holden’s huge range of vehicles, I would highly recommend to come in and see the experienced team at Col Crawford’s Holden for the full “Walkinshaw Experience”.